Formed in 1978, London Baroque enjoys the position of being one of the most experienced and long-lived baroque chamber groups. 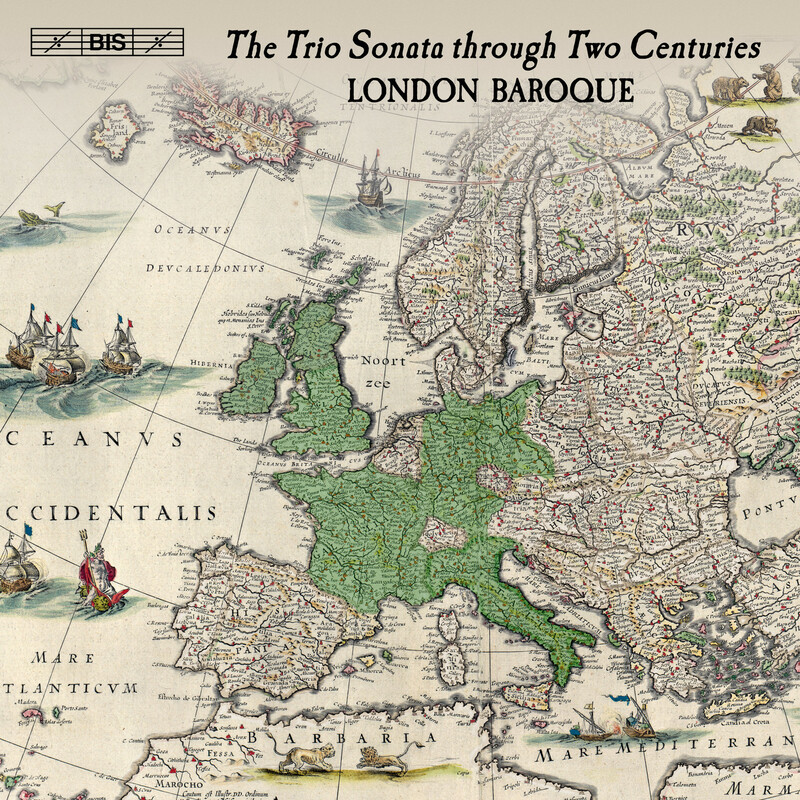 Combining 8 CDs originally released between 2003 and 2013, the present boxed set of trio sonatas can be seen as the fruit of all those years of research, experiment and discovery. 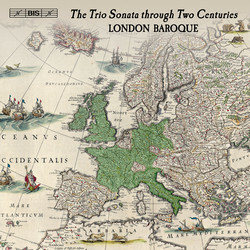 The trio sonata was the primary vehicle for chamber music in the seventeenth and at least half of the eighteenth centuries. Its history mirrors other developments throughout the whole of the baroque era. This set is chiefly concerned with those for two violins and continuo, with occasional digressions into those for violin, bass viol and continuo, and one with viola replacing the second violin. Like the string quartet in later ages, most composers (with some notable and regrettable exceptions) tried their hand in the form. The customary addition of a figured bass part played on a harpsichord or organ around 1600 meant that middle parts of the old contrapuntal style could be excluded and chamber music soon began to favour the trio sonata texture. 150 years later, with the string quartet, the process was reversed as the viola took over the middle ground previously occupied by the keyboard.